Today we visited Disney's Animal Kingdom - my favorite theme park in Florida. The concrete work there is nothing short of amazing and most likely the most beautiful and detailed concrete in the world in my experience. The Tree of Life is the centerpiece of the park. The hand sculpted tree is MASSIVE towering above everything else. I've been sculpting concrete for more than 20 years, but each time I get to visit this park I set aside a healthy chunk of time to study each detail. It is that good! 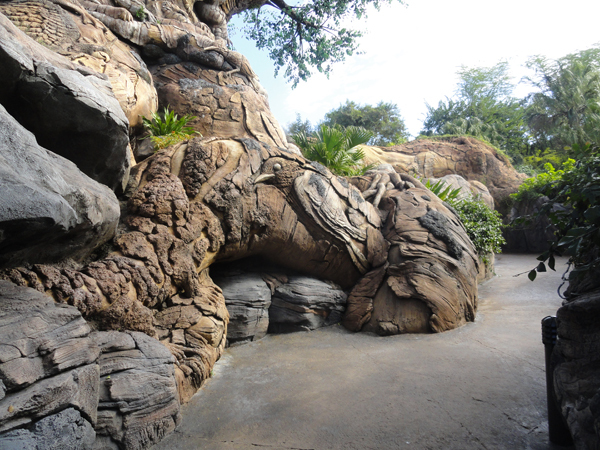 In the bark and roots of the tree there are hundreds of animals sculpted in. 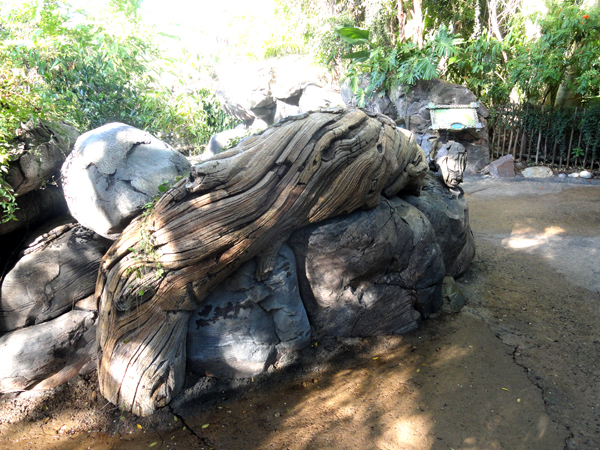 The tree and surrounding rock and root work cover acres of land - all sculpted in minute detail from concrete. I spent most of my morning seeing all I could possibly see. 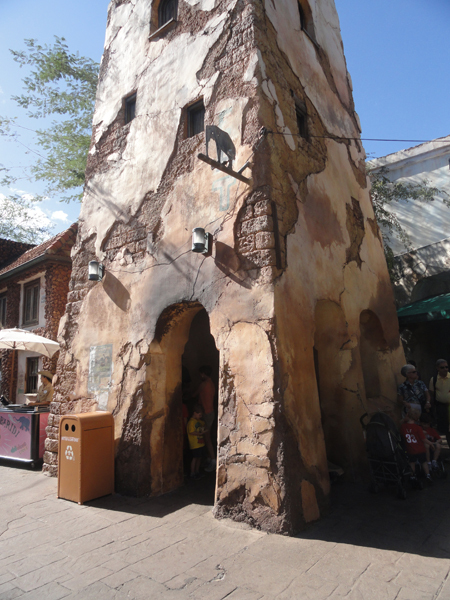 There is a LOT of other fine concrete throughout the park including many of the buildings. But this is not the type of concrete you see in most cities. This concrete is carefully carved and then painted to tell a detailed story. And that it does well. The next photo is from the village of Harambe, deep in the heart of Africa. Skillfully carved concrete is everywhere through the park. The walkways may look like dirt, but they are stamped concrete, complete with stones, leaf impressions, animal tracks and sometimes tire tracks too... all in the service of the story of the land. On the safari ride through the savanah most guests don't see the concrete they are looking at for it is hidden everywhere right in front of their eyes. The picture below is a good example. This takes far more skill than most would imagine. Done best, it does not draw attention to itself but rather blends right into the scenery. The eroded dirt bank is actually made from concrete as are many of the features of the landscape. It was a fun day at 'school' today. We all see things differently!